Monsieur Benjamin – Overworked. Underfed. 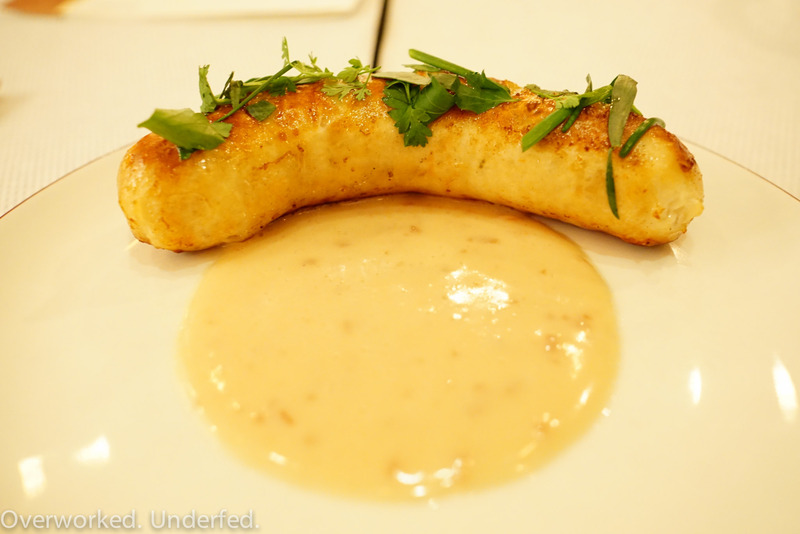 When I heard Chef Cory Lee of Benu opened up Monsieur Benjamin, I didn’t get too excited. First of all, I thought Benu was just good, but not great for its price point. Secondly, French bistro can come off as a little unexciting to me. Maybe because it’s something I’ve been exposed to since I was a kid. Whatever luster it had, has been lost over the years. Still, French bistro food has rarely failed to disappoint me. The solid quality of the food always seems to outshine the predictable nature of the menu. I really loved this. It had the wonderful snappiness of sausage, and the light freshness of seafood. The sauce was butter, creamy, and just a tad tangy. It was simple, but unique. I’ve never seen this on a French bistro menu. A really great way to start the meal. YUMS! Some Yelpers didn’t seem too keen on these, but I had to see for myself. They were crispy and not too heavy. They probably could have used more leek or gruyere to bring more flavor. This was certainly one of the highlights of the meal. I can’t remember the last time I had foie gras this smooth and clean tasting. Because it was described as “confit” I was imagining a hot preparation. 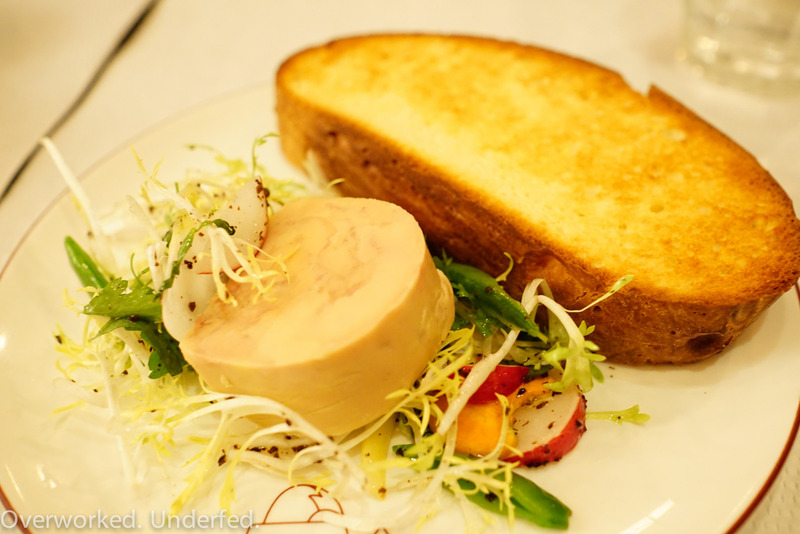 However, the foie gras is prepared by poaching the whole duck liver in low temperature oil and then cooling it. Whatever other secret tricks Chef Lee used, resulted in the tastiest spreadable fat that can be enjoyed on a slice of buttery broiche. 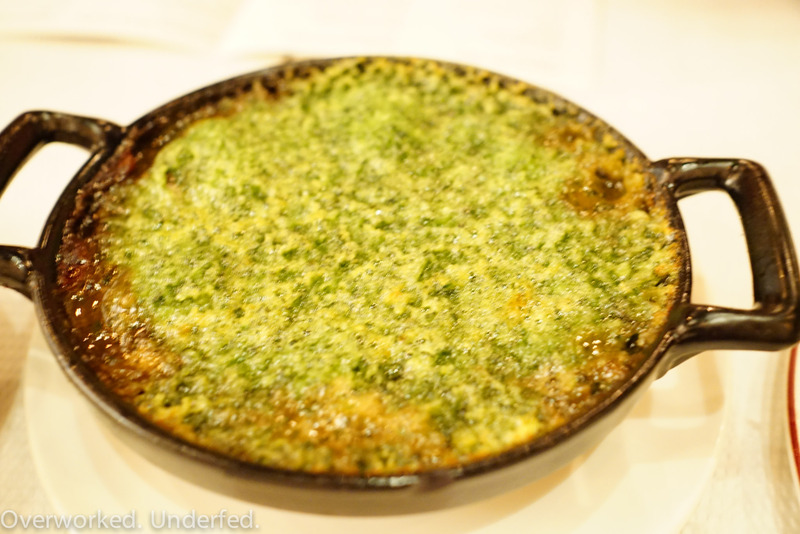 The escargot were beautiful. Tender yet chewy, swimming in butter in the best possible way. Tons of sharp punchy garlic and herby parsley. YUMS! 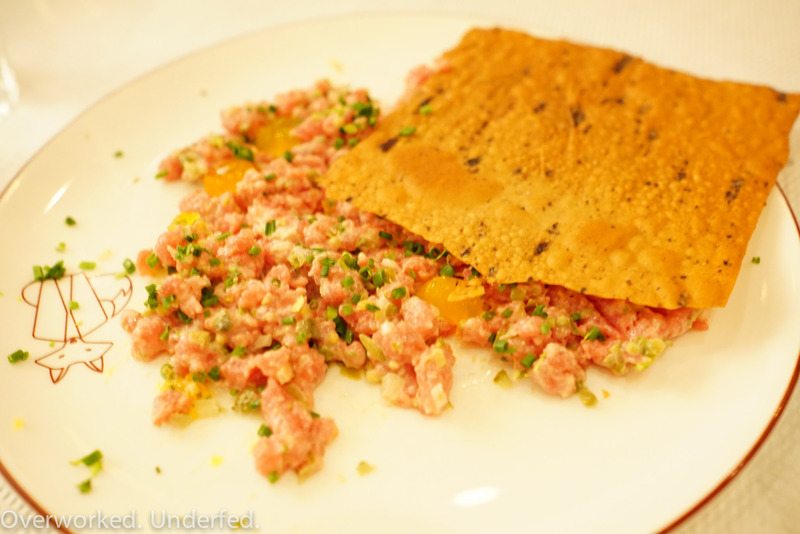 The tartare had a strong mustard or caper flavor throughout. The egg yolk helped to soften the sharpness. The lavash was a departure from the usual crusty baguette. 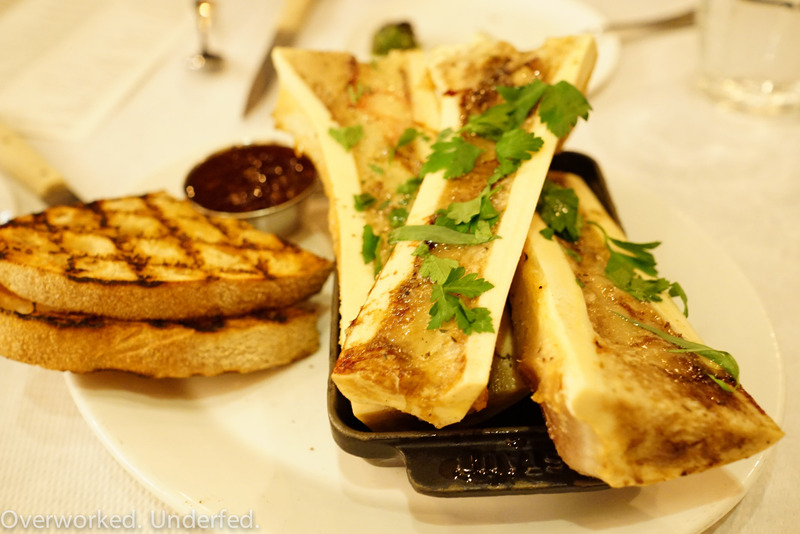 The bone marrow looked a little under roasted, but was actually full of deep bovine flavor. The best part was the bacon marmalade. It added marvelous sweet savory flavor. We weren’t too hungry, so just stuck to these small dishes. Palmier are elephant ear shaped puffed pastries. They always remind me of my dad. I would probably eat them more often if I didn’t feel so guilty. I was intrigued to see it as the inspiration for an ice cream flavor. It actually contained real chunks of light crispy palmier! I was in LOVE. I knew the ice cream had to have been made fresh that day. I know ice cream, and there is no way the palmier could not just turn to mush otherwise. The caramel added another layer of depth and richness. Super YUMS! 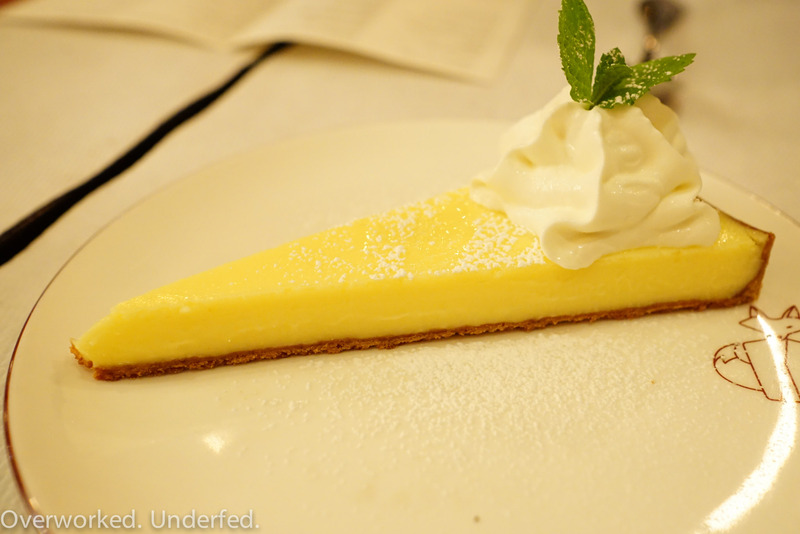 A pretty ho hum lemon tart. 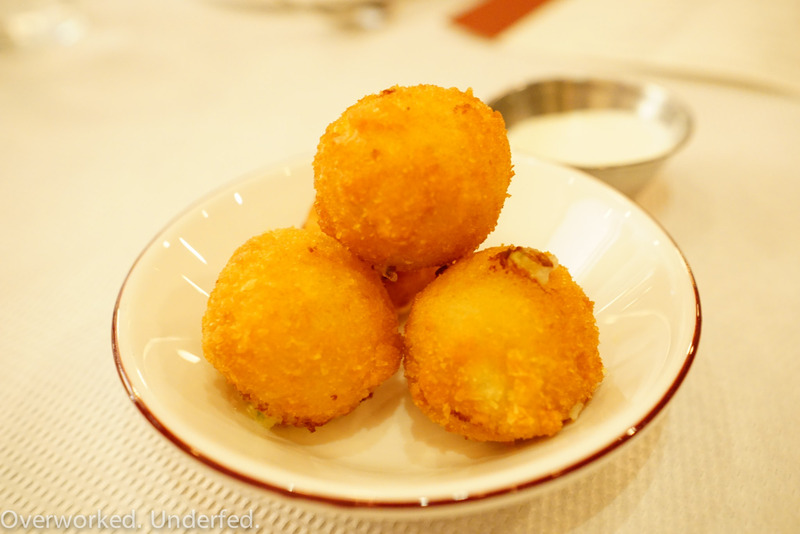 While I didn’t get to try any of the main dishes at Monsieur Benjamin, I loved everything that I tried. Everything tasted authentically French and maybe even better than the bistro food I’ve had in France. It’s amazing that Chef Cory Lee is at the helm of Benu and Monsieur Benjamin, which couldn’t be more different from each other. He is definitely one talented guy! 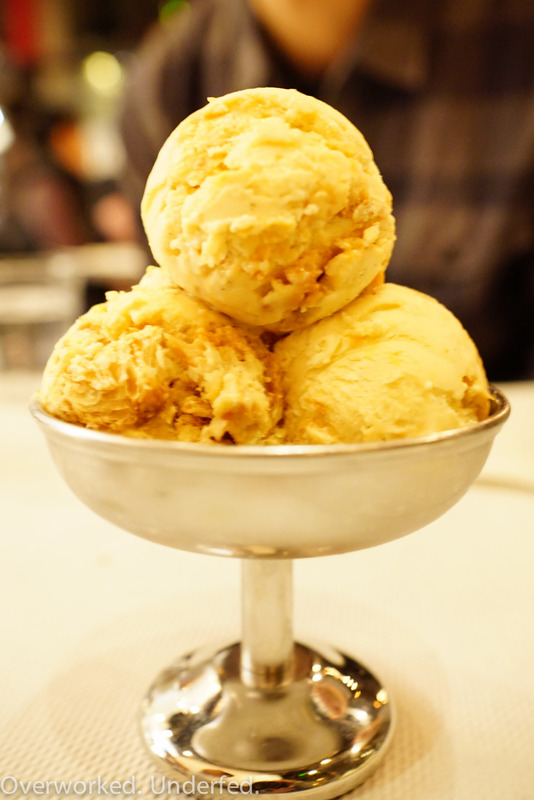 I can’t wait to go back and have some more foie gras confit and palmier ice cream.